At the very lowest place on earth lies the Dead Sea. 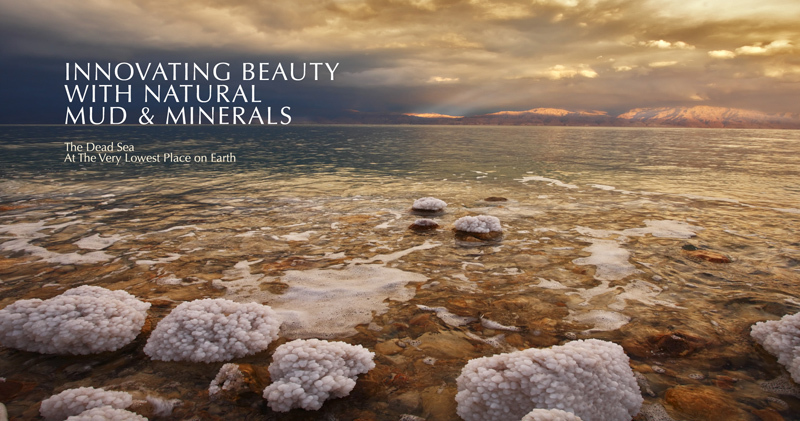 Located at 423 m below sea level in Southern Israel’s Jordan Valley, with a salt concentration level ten times that of the waters of the ocean, the Dead Sea contains 26 minerals - 12 of which can not be found anywhere else on earth. For thousands of years, these waters and its muddy shoreline have provided therapy for a variety of skin conditions including psoriasis, eczema and acne. For Minerals of Eden, innovation is the key, but all our raw materials are sourced from ancient and naturally occurring mud and minerals renowned for their regenerative and restorative properties.